Hey everyone! Sorry this post is very late... I was quite busy last weekend. Every month for now on I will do a Favourites post which will only include Beauty, Music and Random things (like books or films). I am not including fashion because I basically have the same favourite hoodies or jeans every month. It's Midterm thanks be to God! I'm so happy! Now let's get on with to my January Favourites. I love this as it has a hint of blue which is great for adding definition to sapphire eyes (as I like to call them). I wear this sometimes to school as I it kind of does brighten my eyes, and makes me look more awake. This is great for fixing up messy eyebrows (as I do have) and works well as a clear mascara. It can lengthen your lashes, giving the same effect as a normal black/brown mascara but with no colour. Great for school! 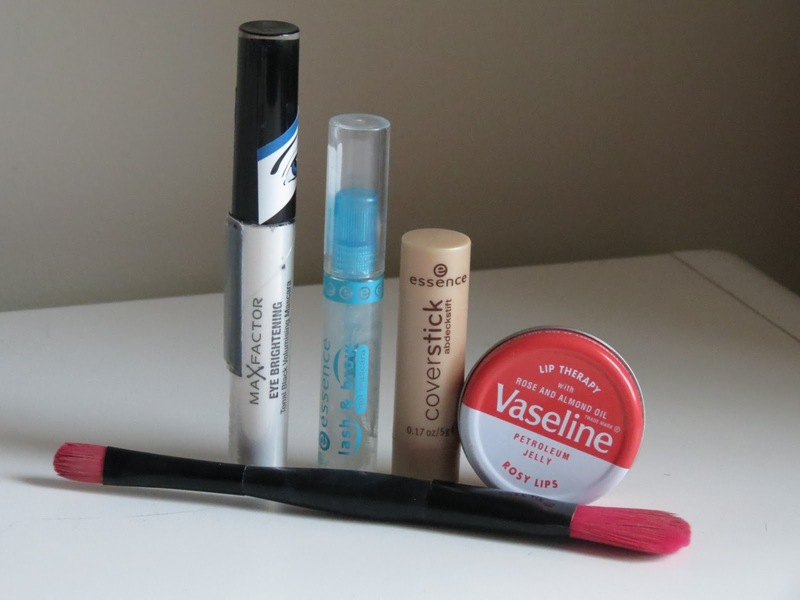 This concealer is a life-saver! I use it for dark circles and spots and it blends in very well with my skin. It's also good for school as it is quick to use and you don't need to use foundation or BB cream. I absolutely adore Vaseline, so I decided to buy the Rosy Lips version, and wow! It tints my lips wonderfully as well as moisturising and protecting them. A beauty-must have! I bought this simply because it was around €2! I thought I might as well get it as I didn't have any brushes for my BB cream or concealer. I really like it, especially the concealer brush. It works very well. Ahhh this body wash has such a calming, gorgeous fragrance and leaves body smelling divine. So lovely. I felt I needed to get a decent heat protector, as I do blow dry my hair almost every day before going to school. You have to when in a rush. That's why I bought this, and it's fab! Don't spray too much though, it'll make it lobger to dry your hair. 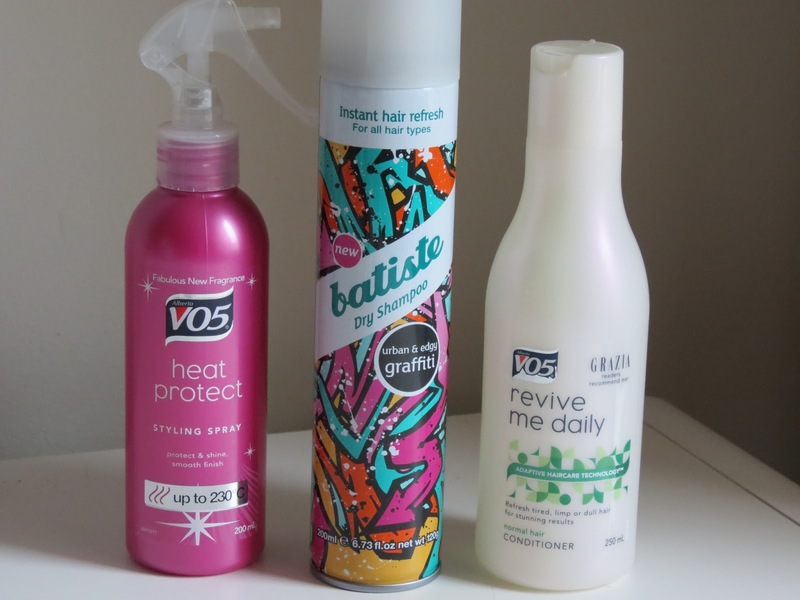 This is THE hair ESSENTIAL! Dry Shampoo is amazing and absolutely loved this urban and edgy version. I got it for Christmas and it is my favourite so far! I've talked about this conditioner in my Amazing Hair Products post in November, and it's awesome! My hair feels nourished and and refreshed after I use this conditioner. How could I not include this number one hit? Such a catchy song and isn't the video just so funny? I ordered this on Amazon, after I heard a lot of good things about this phenomenon. The queen of winged out eyeliner and fashionista Lauren gives fantastic tips on make up, skincare, and health in this ridiculously good beauty bible. I couldn't get my head out of it. KISS will forever be in my monthly favourites. The magazine just keeps on getting better and better. It is a marvelous glamorous magazine full of fashion, beauty and awesome advice, and guess what? It's 100% Irish! The best magazine EVER! Of course, Teen Vogue is more famous than KISS. It is very entertaining with interesting photo shoots and interviews with celebs. But what does annoy me is the AMOUNT OF ADS!!! It really bugs me. Like, seriously. Last year, KISS' first ever annual came into stores, and I was super excited to get it as soon as it came out, even though I only began buying them. It was so good. Unbelievable. So, this year I hoped for better. And I got what I wanted! It has plenty of quizzes and horoscopes, and posters, which I love. What was great was the DIY Spa Treatments, Cupcake recipes and the 'How to have your own Spa Party' article. I saw this with my friends and it was soooo funny! And they do aca-amazing song covers! If you heart Glee, you will absolutely looove this! Wow, Flower is the kind of person I have ever wanted to be. Unique, different, quirky, creative. Wow. Her photos are wonderful, and her outfits and her bedroom suit her personality perfectly. A picture from her blog; her outfits are super cool! Michelle is incredible. She does great make-up tutorials, as well as inspiring short films and advice videos. Just watch this recent video by her to see how fab she is!